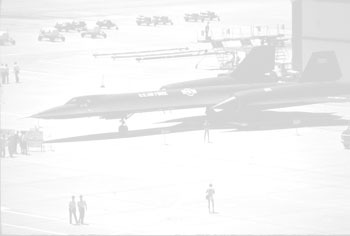 In 1990 the Program was cancelled and most SR-71s went to museums. 971 was lucky enough to be spared this fate along with 5 other airframes. 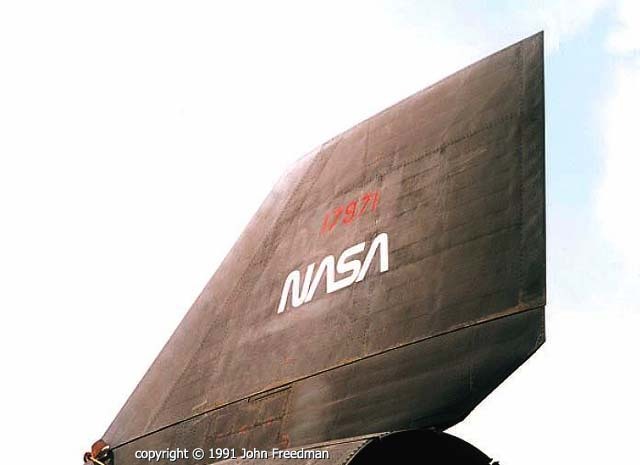 3 went into flyable storage, and 3 went to NASA for high-speed and high-altitude experiments. She still had her plain red numbers when she arrived, and was given a temporary white NASA "worm" until being redesignated with a new NASA fleet number.